Email hazakweematz@gmail.com for the full free book "Memories of a Shochet". Here are a few excerps to help you get a better understanding of what shechita is all about. 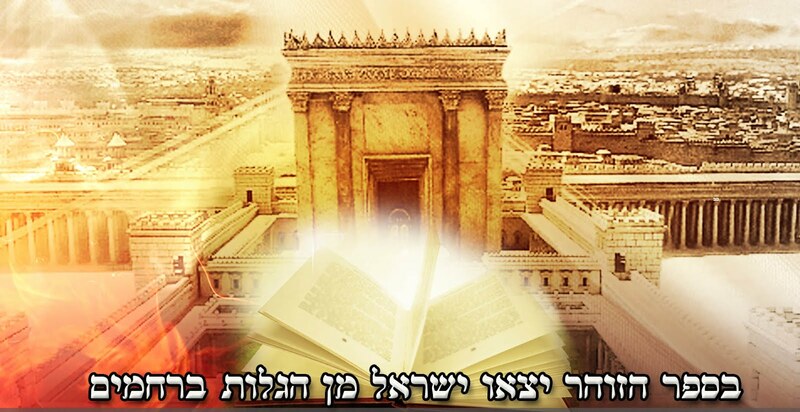 Also available is a book the Rebbe wrote entitled "The Gate of Kashrut" with tons of valuable information on the subject of how to truly keep kosher and avoid the many pitfalls out there and thereby save your and your families souls from the blemish of eating treifot and nevelot, chelev and dam. (From "Memories of a Shochet") In this book I bring forth incidents pertaining to the status of Schita in New York and other locations that I myself have seen and experienced personally, being a Schochet for over 10 years, witnessing first hand the situation in beef and chicken slaughter houses under the finest and strictest supervision. over 6 different ways. The experienced Schochet told me, "Don't worry about the knife. The back of the neck causes no defect. look at my own knife." I never understood how they weren't ashamed to show me such defective knives! tell it to me... This was a long time after I stopped being a Schochet and where I once worked as a Schochers helper for 6-8 weeks. One time I didn.t feel well, and I sent the Schochet R'....... to substitute for me. The supervising Schochet R'....... saw the Schochet slaughtering in back of the neck and asked him to stay on and work there instead of me. He would receive $60 a day and only have to work two days a week. This particular Schochet stayed on and a week later told me that he had my job. I asked him how he could do this and showed him the Halacha regarding crossing boundaries'. Then he presented this to the Supervisor, the Supervisor in return said, 'With me there is no such thing as crossing boundaries. I hire and fire who I please, and I prefer those that accomplish the most' (slaughter the most animals per hour). And with that I resigned from this Schita. on without being suspected of having too much knowledge. I had very nice knives, and my friend R'...... had also R'...... were impressed with the knives, which are actually the basis for a good Schochet. They told me that if I saw knives with defects I was not to say anything about it. There were two Schochtim - one a Hassid of Rebbe M.....and the other a Lithuanian. The Schochet who was a Hassid showed me his knife that was very smooth but in the middle had a terrible defect, but I said nothing. In short, my relative the Schochet slaughtered only 60 per hour and examined his knife after every animal. He then gave me the knife to examine and I told him I still have to learn what is called fat, in the middle of slaughtering the animals from Schita to Schita you feel fat if it is not a defect. He examined the knife and then showed it to me. Once I found a defect and I said that I felt some- thing and maybe it is just fat. He examined the knife quickly and said it was good. He continued to slaughter another 5-6 animals and gave me the knife again to examine. I told him again that I feel something, and when he examined it again he agreed that there was a defect on the knife and accordingly declared the animal treif. I told him that the first time he gave me the knife to check, I also felt the same defect and he asked me why I didn't tell him. I said I did but that I didn't quite know the difference between fat and a defect and I only said I feel something. To tell the truth, I felt the defect very well because I was in many slaughterhouses, but I wanted to see how I would feel slaughtering 60 animals an hour alone. Is there feeling and how? The Schochet continued to Shecht without another Schochet standing by his side examining the knives. 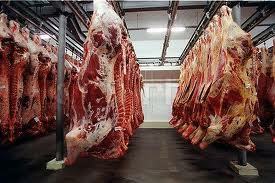 Internal examinations are made while the animals are hung. Each examiner makes notes for himself as to what he has found and passes it on to an outside examiner that has nothing to do with the Schita. It is all done in a carefully planned manner. The examiner R'...... permitted everything that had an origin with Rabbinic authority, even when it tended towards the lenient. He removed the most difficult adhesions that even had a blood clot that every Posek would prohibit. I asked him why he is trying so hard to remove it when the animal is treif anyway. and he said that it is absolutely not so and then told me there is a technique called Bais David. that determines that in such a case it is also considered kosher. He showed me the Sefer and told me it was his job to find permits even if the majority rules against. This he declared Glatt Kasher Lemehadrin.. The work on the lung took 15 minutes. I learned from him how to remove adhesions,( He put all the pious Schochtim in his little pocket). Most of our Schochtim don't even know how to remove adhesions, they just tear them and they don't even have nails to do that. Well. that plant already burnt down and thank G-d there is one less place to cause Jews to eat Treif and vile meat. him why he waited so long if he thought something was wrong - why didn't he show it to the more experienced there...... However, inspite of all this, that entire Schita still remained kosher! Yehoshua, if what this shochet is saying is emes, then you are obligated to inform us which plants are committing these atrocious acts, causing their fellow Jews to sin. I can't believe this is widespread. Can I trust the shochtim of Empire, Agristar, Vineland, and David Elliot? This is really scary. Scary indeed. Kosher meat is essentially meaningless and obviously way overpriced. What is truly important is the lives the animals lead, what kind of conditions they are raised in, how they are treated, etc. Don't get me wrong though, proper slaughtering is very important too. Check out Grow and Behold's kosher meat selection. Naf is a great shochet!